​We are licensed and insured as well as fully equipped to provide the best tree care services at the most affordable rates. Further, we are a customer service organization first - treating our customers with honesty, professionalism, and fair pricing. We cover the entire Hampton Roads area and operate 24x7 to provide tree can when and where you need it. Our crews are professional and responsible as well as always covered by worker's compensation so our clients have the peace-of-mind they are completely protected from any liability while we work on your property. If you want a beautiful yard with healthy and beautiful trees in it, you cannot just wait for Mother Nature to take its course. Beautiful yards don't just happen. It takes a lot of upkeep and maintenance to ensure the health and appearance of your beloved trees so they can thrive for as long as they can and shower you with the many benefits they can offer. Norfolk Tree Service knows precisely what your tree needs. We specialize in both residential and commercial tree care in Virginia and its surrounding areas. We offer a full range of services to cater to your every tree needs. Whether it is tree removal, tree trimming, stump grinding, and emergency tree service, we can handle it for you. We give you world class service for a price you can afford. Norfolk Tree Service is a local tree company servicing all of the Hampton Roads area. We have been providing high-quality service for our residential and commercial clients since our founding. 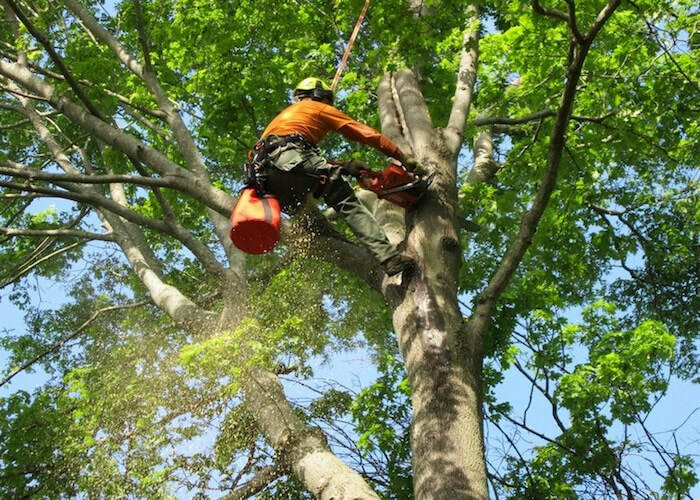 Our passion is to provide every client with 100% excellent service for their tree job, whether it is simple tree maintenance or a large scale tree removal project. Our team is composed of tree experts who have been specially trained to provide a skilled and professional service that ensures your trees thrive and grow beautifully and healthily. We adhere to very high standards and keep ourselves updated with the latest techniques and methods used in tree care. We take pride in our state-of-the-art equipment that we use in every tree project we take on. For many years we commit ourselves to deliver excellent tree care services and excellent customer service. We have a comprehensive list of tree services to make sure we can meet all your tree needs. Tree care comes in a lot of aspects, and we strive to give the same quality of assistance to our clients whatever the type of service they need. 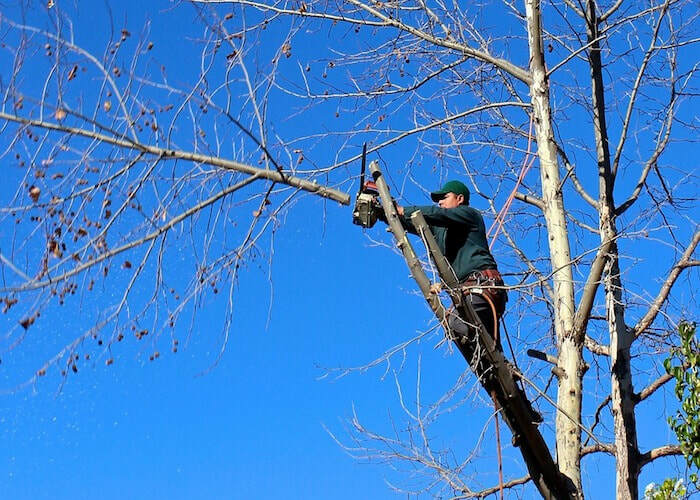 We understand that as a homeowner, tree maintenance can be demanding and stressful; that is why we offer our professional service to make tree care more convenient for our clients. We have a wide variety of services that address all our clients tree needs. Our services include tree trimming, tree pruning, stump removal, and tree removal. Aside from these we also offer emergency tree services for when our clients need urgent assistance for their situation. Call us immediately for prompt and efficient help with tree removal service. Tree removal can be a dangerous job, especially when done by an amateur. However, tree removal can be inevitable especially if you and your property's safety are at stake. Norfolk Tree Service can make this task seem comfortable with our skills and professionalism. The process should not be destructive, and we will make sure everything gets handled well. We can finish the project with efficiency and accuracy to give you peace of mind that you need. Whatever the size of the tree and the circumstance involved, Norfolk Tree Service can help you eliminate it to restore the beauty of your yard. We can also complete large scale tree removal if you have a vast land that needs to be cleared. ​When tree removal is done, you will naturally be left with an unwanted tree stump. Tree stumps can be a nuisance in your yard. They can be tripping hazards, mainly for kids who love running around your yard. We can remove this stubborn stump in your landscape to restore its former beauty and safety. We are highly skilled in removing tree stumps without damaging the surrounding areas. We can resolve any stump problems you have in your yard in no time for a budget-friendly cost. ​Nature can be amazing when it comes to giving the needs of trees and helping them flourish. However, sometimes, Mother Nature can only do so much, and homeowners need to do some intervention to ensure their trees grow in the right way. Some tree branches aren't always evenly spread and tend to overgrow. Tree trimming makes sure that the trees in your yard are proportion and don't overgrow and don't cause a threat to your safety. Tree trimming is also an essential tree care activity that promotes healthy grow as well as maintains the shape of your trees. Also, tree pruning is necessary to ensure young, immature trees grow properly into mature landscape trees. ​We can make sure your property looks well-maintained and classy by keeping your shrubs and bushes in good shape. We offer timely service to ensure your shrubbery continues to look beautiful all year round. You can continue enjoying the beauty of your yard with a little professional help in shrub and brush trimming. Give us a call for all your expert trimming and pruning needs. ​As much as you want to be ready for an emergency, there are times when you can get off-guard by an unexpected situation. One example is a tree falling onto your roof during an intense storm. When this happens, don't wait too long and give us a call immediately. We will provide you with prompt and skilled help to restore the safety and beauty in your property. You can contact us through our website or by calling the number listed here. We will also be able to see your message through an email, so don't hesitate to contact us in the way that is most convenient for you. If you aren't able to talk to anyone the time you called, we will make sure to phone you back within 24 hours. If you are searching for a "tree company near me," contact us right away and we will come to your aid immediately.